Wanna share your Spotify music to friends and team up to make an ultimate playlist for an event? 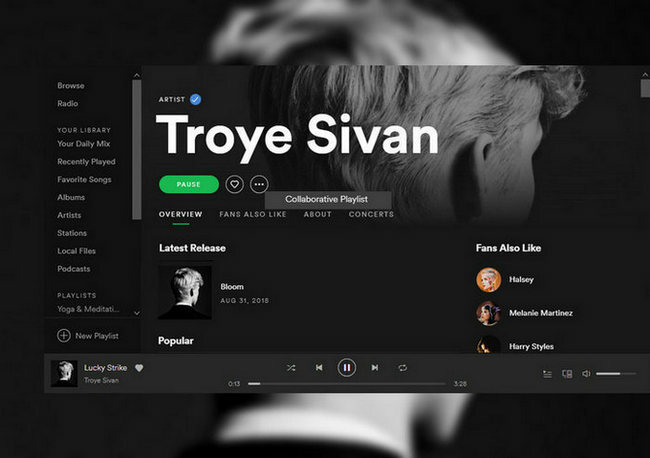 Now you can make a collaborative playlist on spotify. After you share the collaborative playlist to your friends, you can work together with your friends to manage this playlist. 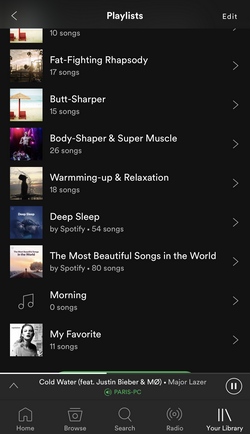 So how to make collaborative playlist on spotify? Here is a detailed tutorial on how to make Spotify collaborative playlist on your devices like desktop, mobile and tablet. To turn on Collaborative playlist on desktop, right click (Ctrl-click on Mac) a playlist in the left panel and select "Collaborative Playlist". 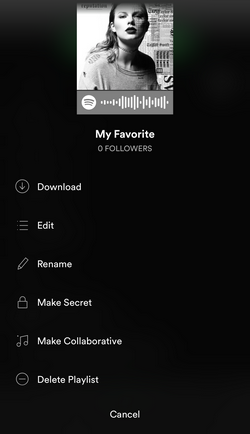 If the playlist is currently playing, you can also click on icon and select Collaborative Playlist. Run Spotify on mobile or tablet, tap "Your Library" --> tap "Playlist" and select a playlist --> tap icon at the top-right corner > tap "Make Collaborative". Then share this playlist with your friends to let them know. When your friend clicks on the link, it will be opened in Spotify and they can continue to modify this playlist and share it to others. 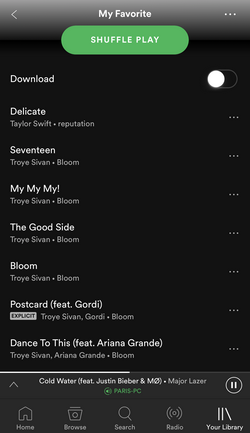 We like to share our favorite track or playlist from Spotify or other streaming music services to friends via SNS, and if your friends also have Spotify account, they can easily access the music you shared. And just as Part 1 referred, if you make a Collaborative Playlist on Spotify, your friends are also allowed to manage this playlist and pass it to others. But what if you shared a Spotify track or playlist, but your friends do not install Spotify and also have no Spotify account? 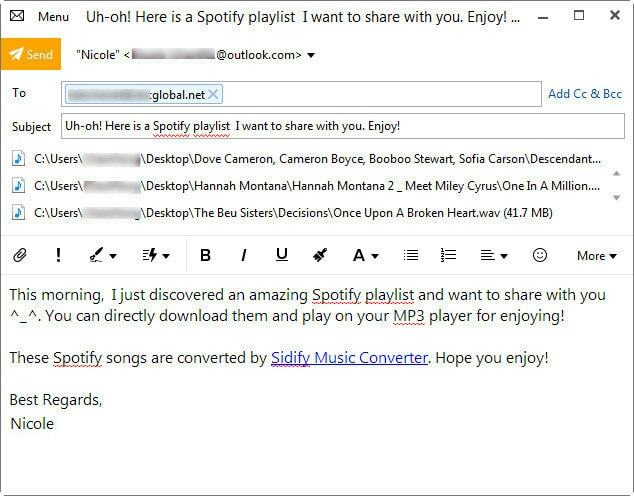 So in this part, we will introduce you another useful way to share Spotify music to others via Email. 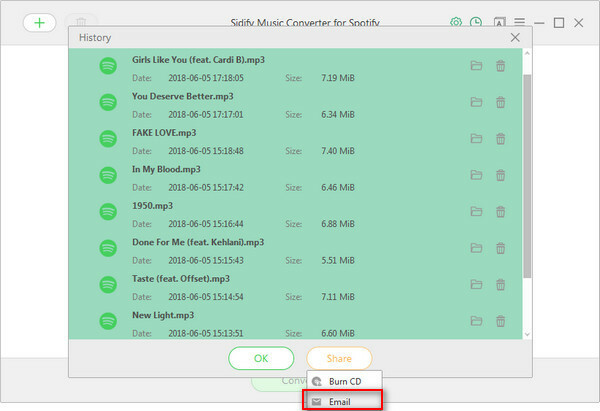 All you need to do is installing Sidify Music Converter for Spotify, with which you can download Spotify track or playlist to MP3, AAC, FLAC or WAV with 100% original sound quality kept, then you can one-click to share the Spotify music you downloaded to others via Email. Let's see how it works. 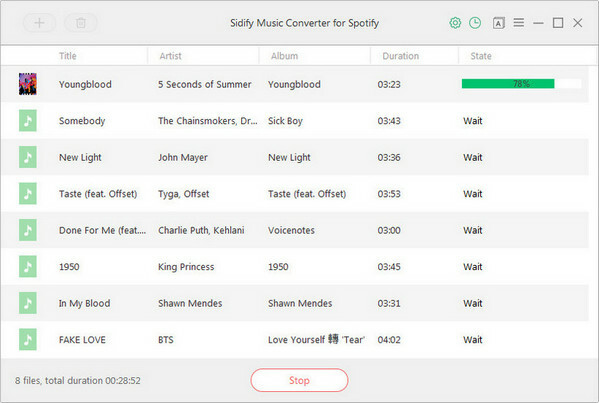 Install Sidify Music Converter for Spotify on your computer, then run this program. 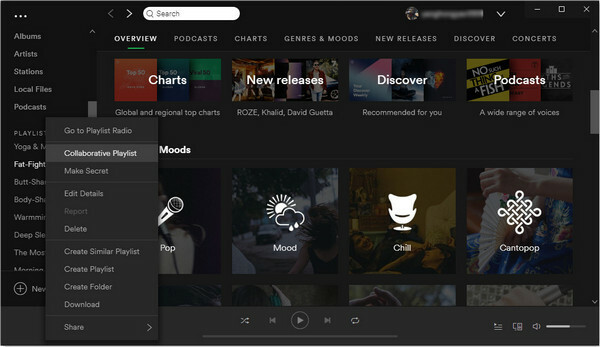 Spotify app will be launched on the background automatically. Click on button at the upper left corner of Sidify Music Converter, then a smaller adding window will pop up to indicate you adding track or playlist from Spotify. You can copy Spotify track or playlist link to the clipboard, or drag & drop a song or whole playlist to the adding window directly. 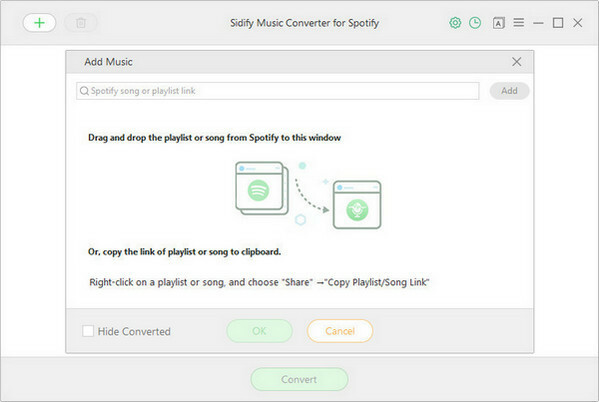 After Sidify Music Converter for Spotify successfully analyzing the link, you can click "OK" to check the track or playlist you added. Click on button at the upper right, and a setting box will be shown. You are allowed to choose output format as MP3, AAC, FLAC or WAV, change the conversion mode and output quality. And if you like, you can save the output audio into organized folder like Artist, Album, Artist/Album, or Album/Artist. 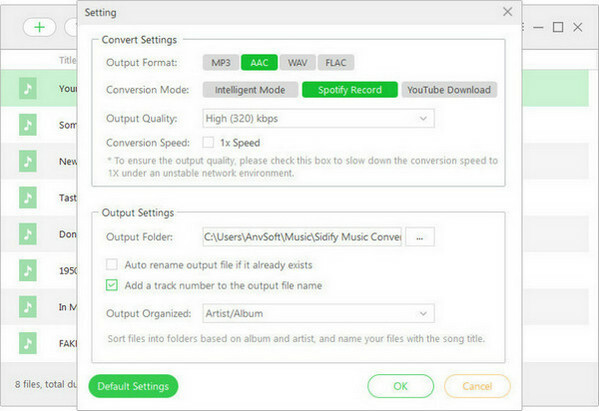 Click "CONVERT" button to start downloading Spotify tracks or playlist to the plain audio format you chosen. After the conversion completed, you can click button to check the well downloaded Spotify music from directory. 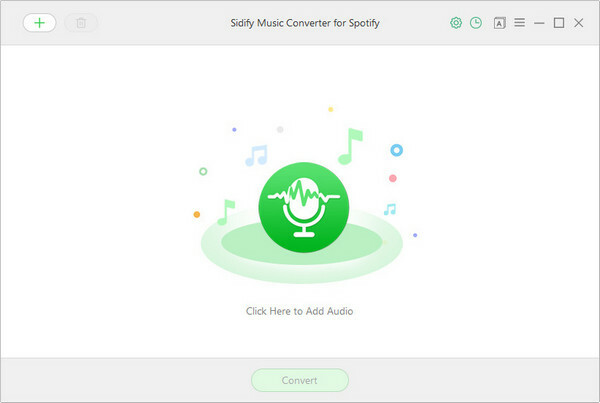 When you click button at the upper right corner, all the Spotify music you downloaded by Sidify Music Converter will be shown as a list. You can press "CTRL+click" or "SHIFT+click" on your key board to select the music you want to share to your friends, then click "Share" button at the lower right of the list and select "Email" from the drop-down menu. After a few seconds, a new window will pop up to let you enter the email address, and then click "Send" to share it now!